The first step in developing a business plan is to have a well thought-out concept. Carefully read and complete the “Evaluating Your Business Idea” workbook. This workbook will assist you in addressing all of the topics necessary to develop your business plan. Taking the time to evaluate yourself and your business concept, will improve your chance of success. Most new or future business owners need to have a personal financial statement. The statement includes all of your personal assets, liabilities and net worth and will determine the income necessary to meet personal financial obligations. Accurately and completely fill out the “Personal Financial Statement” for each owner. Anyone owning 20% or more of the business, or anyone having a majority financial interest in the business, will need to complete a personal financial statement. It is also important to know and understand your personal credit score before approaching a lender for consideration. Click here to print: "Personal Financial Statement"
Complete the “Management Resume” for each owner as well as key employees who are critical to the success of the business. In addition to identifying skills, you will need to provide some personal information that may be required by your lender. The Small Business Development Center will assist you in organizing your information into a complete business plan. 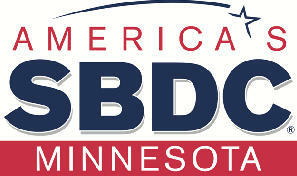 To apply for assistance, complete your request at Southeast Minnesota SBDC Client Signup. Once you have finalized your plan you will need to determine the appropriate form of organization for your business situation. There are many factors to consider in choosing a form of organization; the “Guide to Starting a Small Business in Minnesota” provides valuable information to help you make a decision. Also, the SBDC hosts a Legal Advice Clinic that can provide information to assist you. You may or may not need to register your business with the Federal Government, go to the following link to determine whether or not it is necessary for your business. Any time the business owner wants or needs to make a change to their business, careful planning is essential to building a success and profitable business. Simply call or e-mail using the contact information on this page. We look forward to hearing from you soon. One of the best entry strategies into the world of business ownership is to purchase an existing business. The main advantage to buying an existing business is that the business concept is already proven since there are already customers purchasing the products/services. However, before deciding to buy a business there are two key pieces of information that must be determined. First, the business must be valued, and second, the adjusted profitability has to be made for changes in the new ownership. Is the seller willing to finance a percentage of the sales price. By obtaining the above information from the current owner of your targeted business acquisition, you will be able to provide the SBDC with all of the information necessary to approximate the market value of the business. Determining the adjusted profitability of a business requires you to first identify the current profitability from the most recent fiscal year profit and loss statement and then add/subtract increases in revenues/ costs associated with the change in ownership. These revenue/costs can include new product lines, increased margins, owners salary, interest payments, rents, taxes, and fringe benefits. The SBDC has counselors who are trained to analyze these types of business transactions and can provide you with FREE and confidential assistance. Contact us today using the numbers or e-mail on the bottom of this page.